Loma Linda University Medical Center – Murrieta (LLUMC-M) announced today that Adnan Cobanoglu, M.D. has been named its director of Cardiothoracic Surgery. Cobanoglu joins LLUMC-M from Case Western Reserve University (CWRU) School of Medicine, Cleveland, OH, where he served as professor of surgery and Chief of the division of Cardiac Surgery at Case Western Reserve University Hospital (CWRUH). Prior to his tenure at the Case Western Reserve University Hospital, Dr. Cobanoglu was Chief of Cardiothoracic Surgery at Oregon Health Sciences University in Portland for over 10 years. 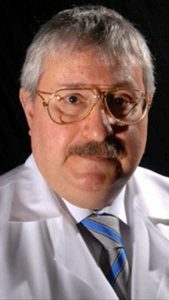 During his many years at CWRUH, Cobanoglu also served as Surgical Director, Lung Transplantation Program, and Co-Director of the Heart and Vascular Institute. Cobanoglu is a member of The American Association for Thoracic Surgery, the American College of Cardiology (FACC), and the American College of Chest Physicians, with board certifications from the American Board of Surgery and the American Board of Thoracic Surgery. He also has taken many leadership roles on committees of the Society of Thoracic Surgeons over the last 20 years.